Dedicate yourself to playing complete, hard-to-categorize instrumental music. Ensure that almost every tune in your repertoire is in odd meter. And while you're at it, make your lead instrument a banjo. It sounds like a surefire recipe for obscurity. But Bela Fleck & the Flecktones have parlayed that unlikely formula into a successful 15 year career, winning a wildly devoted audience that's nearly as eclectic as the band's music. 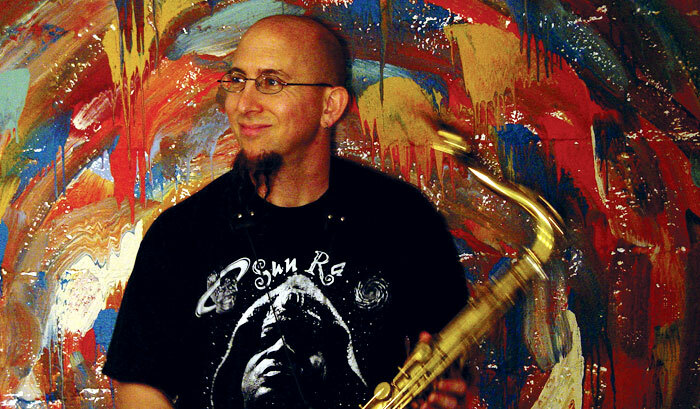 And since 1997, a cornerstone of the Flecktones' sounds has been the adventurous reed work of saxophonist Jeff Coffin. Joining Bela's band was not the first unlikely move in Coffin's career. After graduating from North Texas U's famed jazz program, he relocated not to New York or Hollywood, but to Nashville, becoming a sax man in Guitar Town. I've played hundreds and hundreds of gigs on these horns, and they always sound great, all the way from the lowest register up into the altissimo. "It was kind of odd," chuckles Coffin. "I called my first solo record Outside the Lines, because that's the way I felt. But we have so many great musicians living here, not just country players: Chester Thompson, Adrian Belew, Larry Carlton, and the Flecktones - heavy players, man." Coffin played on studio sessions and hosted a popular jam session until a mutual acquaintance suggested he get together with Fleck. The two hit it off, and soon Coffin was learning to phrase along with Bela's banjo. Coffin says the collaboration has necessitated some stylistic adjustments: "For one thing, I've had to lighten up my articulation. Phrasing with Bela is very different from how I'd play with, say, a trumpet player, because banjo is not a wind-blown instrument, and it doesn't have much sustain. And that's not the only challenge. The music demands things like playing difficult passages in altissimo register and soloing in strange sax keys like C# and f#. It's backed me into a lot of corners I wouldn't have thought possible if I'd been playing 4/4 standards." There's not much 4/4 in Coffin's life. "Almost everything is in some strange time signature," he says. "We play in seven, eight-and-a-half, seventeen. Sometimes things are actually in more than one time signature simultaneously. You might have a five going over a three, or a seven over a four. After a while, you don't even count it - you just hear it as a phrase." Yet Coffin feels at home. "I've always been interested in many kinds of music," he explains. "And this band is great for me, because we get to touch on so many styles: African, Indian, Irish, Afro-Cuban, funk, and R&B. And of course, there's a huge jazz influence, too. Chick Corea and Charlie Parker were Bela's two biggest influences when he was growing up." Coffin is a convert to Yamaha instruments. "I play a Yamaha tenor and alto, plus a Yamaha flute," he says. "I wasn't looking for a new horn when I tried out the new Yamaha Z series saxophones - I was quite happy with what I'd been using. But as soon as I checked them out, I was immediately impressed. In typical Yamaha fashion, Jeff's comments led to further design developments. 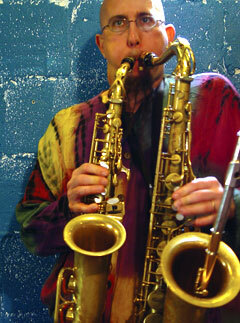 "I mentioned to them that I thought the Yamaha saxes would sound better with the coat of lacquer removed," he recalls. "one reason some of the great old horns sound so good is because their lacquer has started to break up, which really lets the metal vibrate." Before long Yamaha contacted Coffin again, inviting him to try some new, lacquer-free horns. "I was very impressed that they would take the time and initiative to do that based on my suggestion," says Jeff. "I tried them out and found a killing instrument. The Yamaha horns have lots of character. I can put a lot of air through them, but when I put less air through, they still have an even sound. They're in tune, easy to play, and they sound fabulous. In the studio, I tried comparing the Yamahas against my older horns using an oscilloscope, and the Yamaha was the warmest and darkest of the horns. I've recommended it to a lot of friends, including some very successful session players, and they love it. It's a great horn, man. I've played hundreds and hundreds of gigs on these horns, and they always sound great, all the way from the lowest register up into altissimo. When he's not on the road, Coffin fronts his own band, The Mu'tet, whose upcoming Compass records release boasts a stellar cast of Nashville session players. [Info available at www.JeffCoffin.com.] "The group name comes from 'mutation,'" Jeff explains. "It's an ever-expanding, ever-evolving project that incorporates a diverse palette of sounds." Meanwhile, the Flecktones recently commenced work on their next record. Judging by Coffin's instrumental duties, the group isn't exactly narrowing its horizons. "We've done five tunes," says Jeff. "And so far I've played soprano, tenor, clarinet, pennywhistle, conch shell, bells, and multiphonic singing through the flute!"